They want access to new technology and new ideas—and they’re willing to pay for it. Across the country, incubator programs that help cleantech startups and entrepreneurs grow are expanding and raising money, thanks to growing interest from big corporations that want access to the latest technologies and innovative entrepreneurs. While big companies have long sought ways to invest in hot startups, in recent years large corporations have been increasingly interested in finding ways to connect with cleantech startups and executives as a way to recruit talent, stay ahead of fast-moving technology trends, and meet sustainability goals. Incubators are emerging as a way to stay competitive in rapidly changing industries, not necessarily as a way to make a direct return on an investment. Many of these corporations don’t specifically categorize their interest in incubators as cleantech-focused, but rather are employing a wide swath of descriptive terms like sustainability, resource management, energy and the environment. 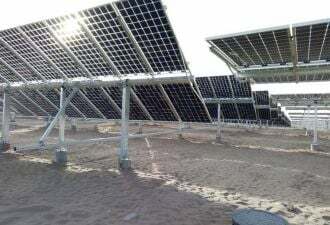 Many companies are also opting to more narrowly focus their interest on incubators in certain sectors within cleantech -- including energy use in buildings, transportation or solar -- that can be most beneficial to their businesses. Some of the renewed interest has emerged because other sources of funding to help earliest-stage cleantech ventures has dried up or is in jeopardy. Many venture capitalists have stopped funding cleantech startups, and U.S. government funding for cleantech projects has been threatened by the shift in focus imposed by the new presidential administration. The trend of corporate interest in cleantech incubators has also gained momentum due to the success of the accelerator and incubator model across the larger tech industry. It's the model pioneered by big groups like Y Combinator and Techstars. “There is definitely an uptick in the number of [cleantech and energy] incubators and accelerators formed in the past few years that are bridging the knowledge gap for startups at every stage,” said Devashree Saha, senior policy associate for the Brookings Institution's Metropolitan Policy Program. “Most of these incubators and accelerators tend to have some corporate engagement, which ranges from somewhat indirect to very direct involvement." Sometimes that means a company just creates their own incubator. Banking giant Wells Fargo launched its Wells Fargo Innovation Incubator, or IN2, in 2014, to connect with young companies that can reduce the energy consumption of commercial buildings. It's no coincidence that Wells Fargo also manages 100 million square feet of real estate around the world. The program started out with $10 million from the Wells Fargo Foundation and has typically been giving out grants of $250,000 to startups that have been vetted by the Department of Energy’s National Renewable Energy Laboratory and an advisory group. So far the program has funded 20 early-stage startups. The initiative was born out of the company’s sustainability commitments, though Wells Fargo is also a major lender to energy projects and companies around the world including underwriting clean energy tax equity. Ashley Grosh, vice president and IN2 co-lead for Wells Fargo, said that before the launch of the incubator, she had become increasingly frustrated after seeing promising energy startups hit a wall as they tried to traverse the proverbial valley of death. “The goal for Wells is not to seek a return on investment. It’s more about how many companies can we lift up and get to market,” said Grosh. Promising companies that Wells Fargo might want to invest equity in are referred to the company’s investing arm, Wells Fargo Tech Capital. Last month, IN2 announced that it’s added another $20 million in order to expand beyond just building energy use into transportation, microgrids, energy storage and sustainable agriculture. “We think our model can help speed up the path for companies working in these spaces,” said Grosh. Wells Fargo is just one of the large corporations, across many sectors, that are investing in an incubator model for cleantech. 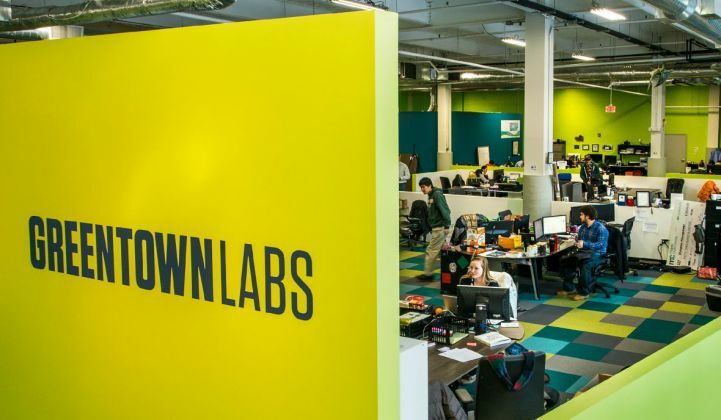 Powerhouse, an incubator and accelerator program focused specifically on solar software, has a range of corporate sponsors it has worked with, like SunPower and SolarCity. The group, based in Oakland, is investigating raising a more traditional Powerhouse fund that would invest in its unique vertical after finding some early success with its incubator design. Other incubators are finding funding in both the corporate world and the philanthropic domain. Formerly known as Energy Excelerator, one such incubator focuses on energy startups piloting projects in Hawaii, and it recently launched a new partnership with the Emerson Collective, the foundation run by Laurene Powell Jobs. The Honolulu-based group now has a new name, the Elemental Excelerator, and a new mission: to expand outside of Hawaii into other regions like California, and into other verticals beyond energy. But the Elemental Excelerator also works closely with, and is funded by, big companies like energy firm Enel and GE. “Over the last six to 12 months, we’ve seen a very strong uptick in corporate interest in this work. It’s been pretty noticeable,” said Elemental Excelerator co-founder Dawn Lippert. “Corporates are looking for insight into the pipeline of what’s coming up next and to understand the speed of change." The Elemental Excelerator has funded 53 companies with $20 million, and those companies have raised $350 million in follow-on funding, a sign that other investors think those companies are promising. The group is now accepting applications for its next group of startups, with a deadline of May 25. The list of sustainability-centric incubators doesn't end there: Shell has an incubator program, Enel unveiled its own innovation hub at UC Berkeley in March, and BMW recently opened its URBAN-X smart cities accelerator in Brooklyn and shortly afterward announced a new cohort of partner companies. The Los Angeles Cleantech Incubator officially opened its La Kretz Innovation Campus last fall with a host of corporate sponsors, and several other similar efforts are also underway around the country. While the list may seem long, the number of cleantech-focused incubators is still small compared to more general tech incubators. But it’s growing as big companies see the benefits that technology, innovation and entrepreneurs can have on resource-related sectors like energy, food and water.